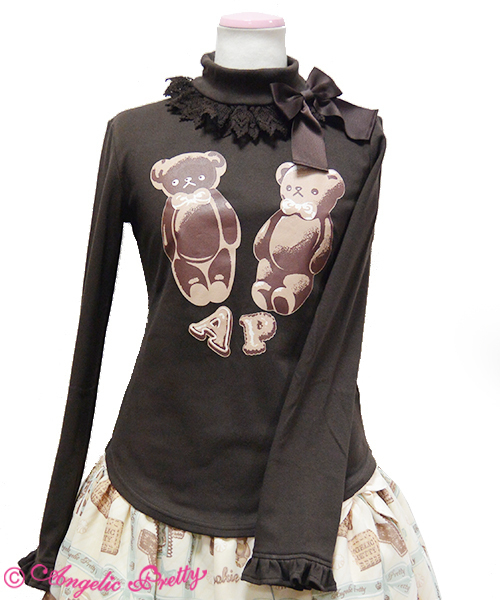 Cute longsleeve rollneck cutsew top in chocolate brown colour. Ruffle trim on sleeves, lace trim on neck. Comes with removable ribbon bow brooch. Featuring a cute teddy bear printed design. Never worn by me, in excellent condition.